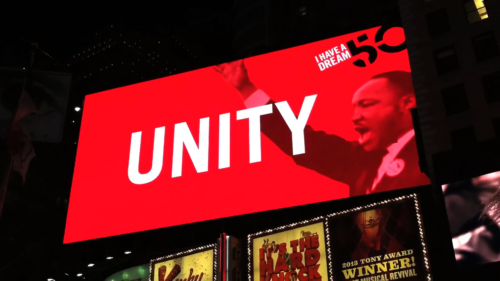 An estimated 500,000 onlookers witnessed our Dream@50 multimedia tribute to Martin Luther King, Jr. and his “I Have a Dream” speech throughout Times Square on July 27 and August 28, 2013. 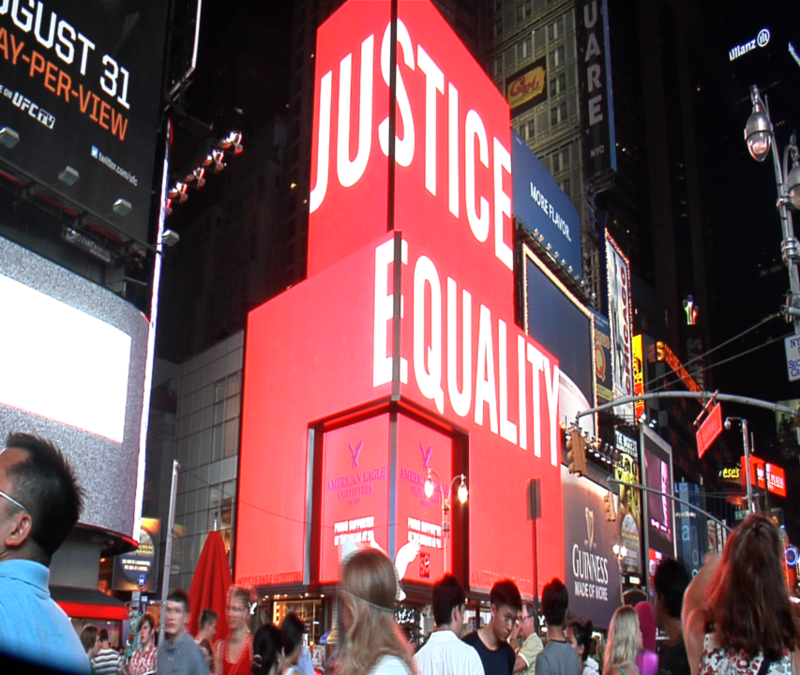 A looped original 30-minute film broadcast on the American Eagle Outfitters’ giant LED billboard, featuring clips from the “I Have a Dream” speech with “My Dream Times Square” interviews and exclusive music performances with Usher, Macklemore & Ryan Lewis, Common, Joan Armatrading, and others. A synchronized graphic art presentation on LED billboards throughout Times Square donated by American Eagle Outfitters, Toshiba, Disney, Walgreens, City Outdoor USA, and NASDAQ. 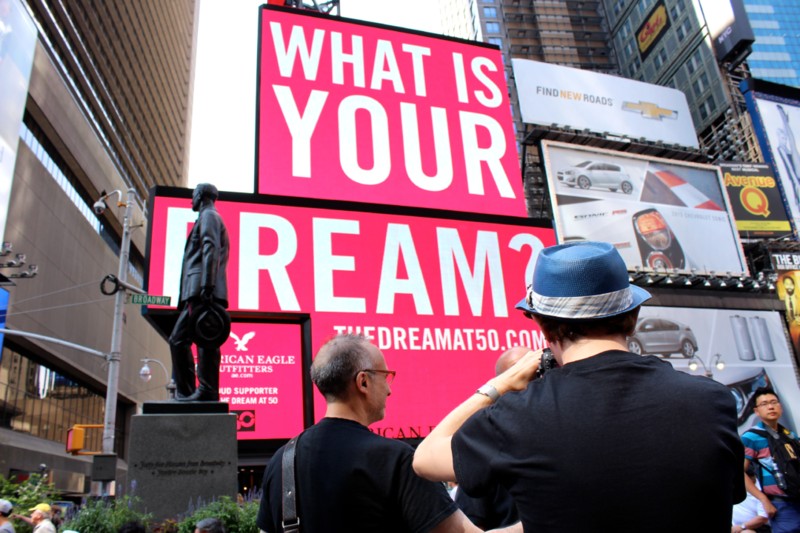 “My Dream” interviews with hundreds of visitors to Times Square about their dream for a better world. Times Square "Heaven Help Us All"
Times Square "In These Times"
© 2019 Karz Productions. All Rights Reserved.